Alastair Wallace qualified as a solicitor in 1993. He was a founding partner of nationally rated Public Law Solicitors and headed up Irwin Mitchell’s Birmingham Public Law and Human Rights Team before joining Community Law Partnership in October 2018. Alastair specialises in Community Care law and wider public law challenges on behalf of individuals and community groups. He has considerable experience in planning judicial reviews brought by residents and campaigners against inappropriate development. He is a leading practitioner of village green law. Alastair has conducted cases at all levels of the Court system, including the Court of Appeal, Supreme Court and House of Lords. He speaks and writes about public law and is listed as a ranked lawyer in Chambers Legal Directory. Daniel worked for a number of Legal Aid firms and has spent his entire legal career specialising in social welfare law, predominately in housing law and welfare benefits. Daniel is a member of the Young Legal Aid Lawyers Group and Child Poverty Action Group. Syma qualified as a Solicitor in September 2007 and specialises in all areas of Housing Law. 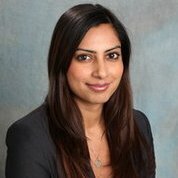 Syma joined Community Law Partnership in November 2015, having previously worked as a Housing Solicitor at firms in London and Birmingham.